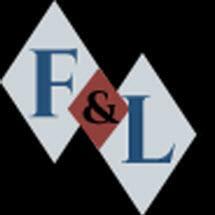 At the law firm of Floyd Leopard, LLP, in Augusta, Georgia, our attorneys are committed to helping clients with legal issues regarding personal injury, criminal law and family law. With decades of combined experience, our lawyers are well-positioned to provide respected, prudent legal representation. Our legal team knows that family law matters — such as divorce, child custody or child support — need to be properly handled so that our clients will have the peace of mind they need and deserve. Whatever the family law matter at hand, Floyd Leopard, LLP, earns the trust of our clients by letting them know where they and their cases stand throughout the process. We understand how important it is for Georgia and South Carolina residents to have trust in their attorneys. Whether someone is facing criminal charges, has been injured in an accident, or is going through a divorce, they need to know that their attorney is going to be a tireless advocate for them and their case. That's exactly what the attorneys at Floyd Leopard, LLP, can provide. People in and around Augusta rely on the decades of experience that the lawyers at Floyd Leopard, LLC, possess. They are eager to show you how they can help you with your legal needs. Contact them today for a complimentary consultation.